Flew from Jodhpur to Mumbai on AI 475 (A319-VT-SCI). Flight delayed 1.5 hours and were informed by a call and an SMS after reaching Jodhpur airport. Light snacks served on board and the aircraft had a functioning IFE. Minus the 1.5 hour delay the flight was okay. Business class from Singapore to Delhi on an A319 and it's was fairly basic. The seats are old and not that comfortable - leg room is ok though. Service from the cabin crew - nothing to get excited about either. They were quite stoic did their basic job and then sat (slept) on the forward jumpseat the rest of the flight. There was a breakfast service (the food was not bad) but they never came through an offered anything else - - nothing. The economy class had a second beverage service - but if you wanted something extra in business class - you had to ring your call button and then they would reluctantly come out of the galley. The inflight entertainment is very basic too - all Indian movies. 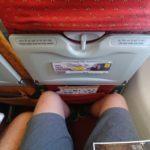 We flew LHR to Mumbai and on to Goa and return via Delhi. Flights were cheap and therefore I agree that they were value for money. 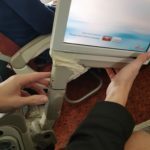 Most of the inflight entertainment didn't seem to work across the cabin or the films packed up. The seats were possibly the most uncomfortable I have encountered they were narrow and the cushions non existent and the toilets smelt. The crew were friendly and attentive on the way out but appeared infrequently on the way back. Food on both flights was horrible. I wish we had paid more and gone with another carrier. Flew domestic on a very early flight from Delhi to Nagpur. Checked in at the airport and this was fast and efficient. Straight through domestic security into the large airside lounge area with shops and cafes open despite the outlandish time (04.30). Flight boarded early and was not full. A319 looked tired and seats were old. Service was fine but food as poor - a greasy wrap - with hot drinks. Landed on time in Nagpur and deplaned quickly. 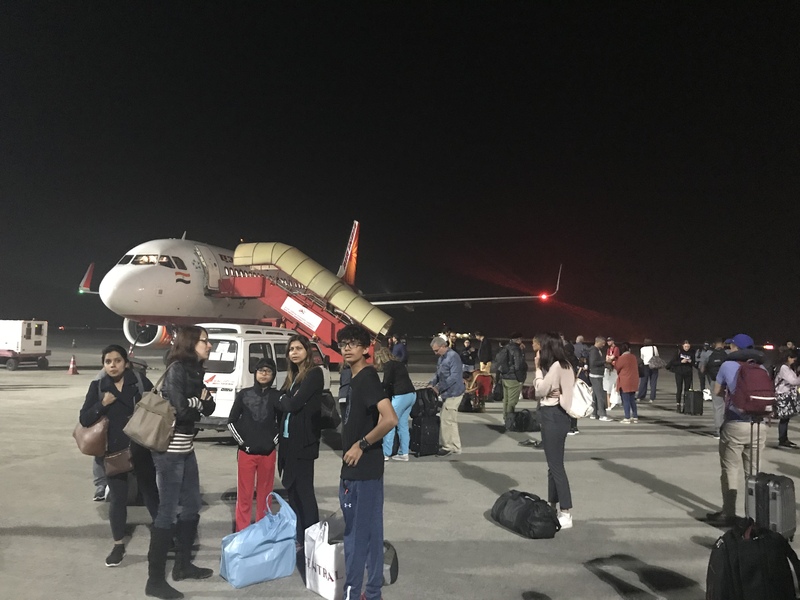 Travelled from Heathrow to Trivandrum connection was missed due to queue's at Bombay absolutely no help from Airline to get through queue's. Also lost our luggage for over 24 hours as this had already been checked into the connecting flight. Travelled from Frankfurt to Delhi and back. The new dreamliners are servicing this route and the flight experience was excellent. Ample leg room large comfy seats in economy big overhead luggage space amazing lighting and windows.. The entertainment options were good and the flights were smooth. The food could have been better! I have travelled Air India before as well but this was the only time I enjoyed travelling with them. 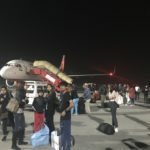 5+ hour Flight from New Delhi to Singapore started badly when we were seated in economy rather than the business class seats booked and paid for 6 months previously. Told they couldn't move us despite there being empty seats in business class. After a great deal of fuss we were moved forward. 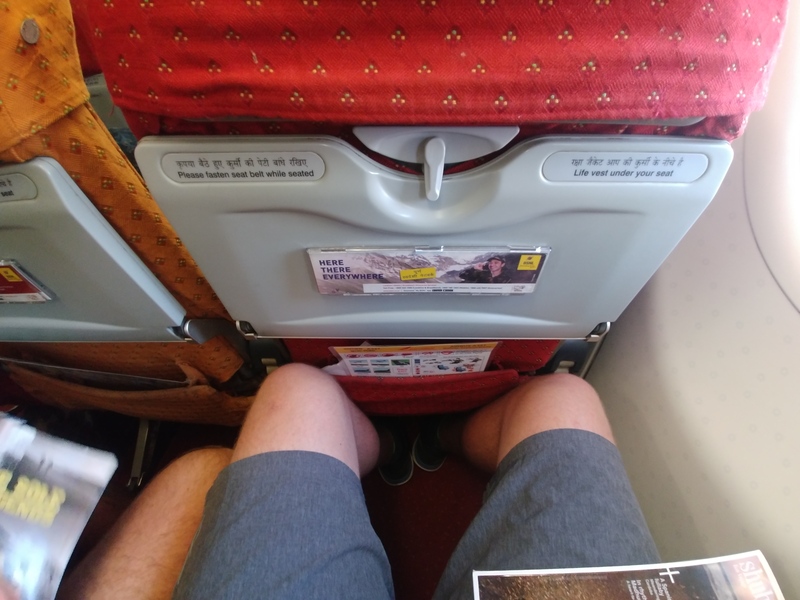 What a mistake - should have stayed in economy where the seats at least had a bit of padding and the service must have been better. No food served to anyone in business class but I assume you could have asked for it. Drinks offered once by a hostess that had difficulty with English so a red wine became a straight whiskey. After serving this the hostess and the cabin manager went to sleep in their chairs behind the curtain. In 40 years of travelling extensively this had to be the worse experience of any flight for comfort and service. Travelled from Mumbai to Bangalore. Early morning departure from Mumbai. Aircraft A321 neatly maintained. Pushback on time and smooth take-off. Hot breakfast served onboard. Asked for a second helping of fruit bowl and was immediately provided with one. Inflight channel had a latest Indian movie going on though the Flight path channel stopped working half an hour into the flight. FA's quite attentive to passenger needs . Landed on time in Bangalore. 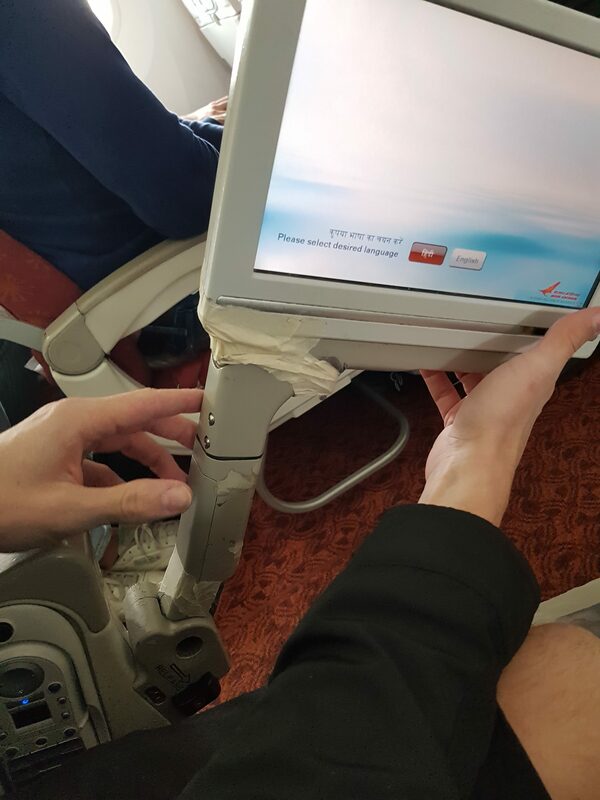 Air India seems to be improving it's quality of service by the day. Will fly them again. Delhi to Chicago on AI127. 16 hour flight with no working inflight entertainment. The food was horrible and served in foil trays. No fruit or salad. Our confirmed seats were changed and we had to switch with someone. 9 hours later breakfast was served. No snacks or coffee served between meals. We will stay away from Air India. BKK-DEL-KTM-BKK in business class. BKK-DEL airplane old seats are old no footrest. Toilet reeks of moth balls served same food as in coach in foil container. KTM-DEL-BKK same old plane asked for a blanket and received a used and stained one. No Ice on board no Immigration form on board no fast track offered. Had Non veggie continental and they served me cold spaghetti Bolognese. Poor service is one problem but biggest problem with their staff.